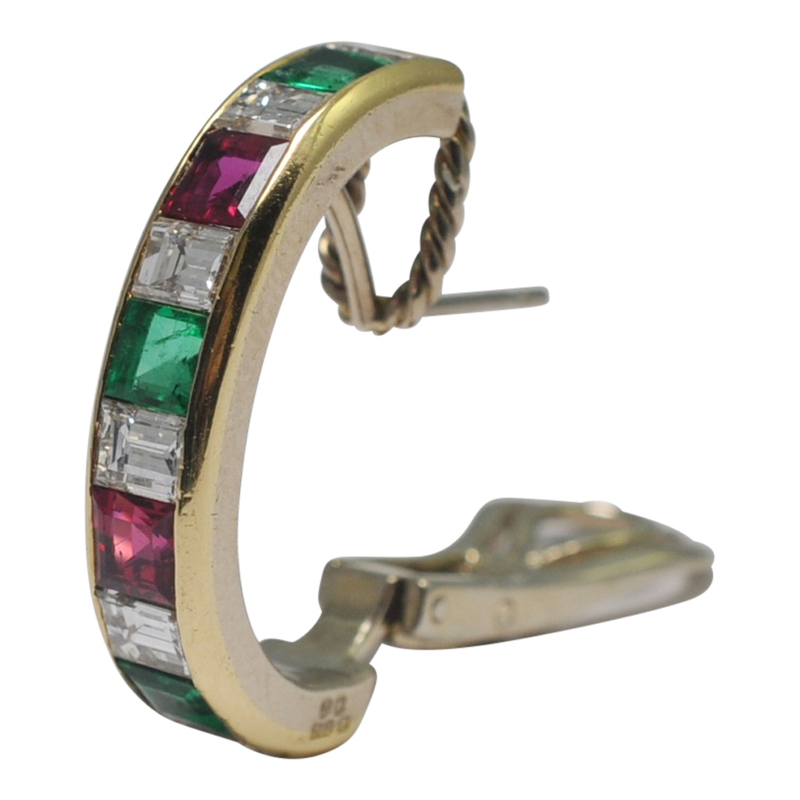 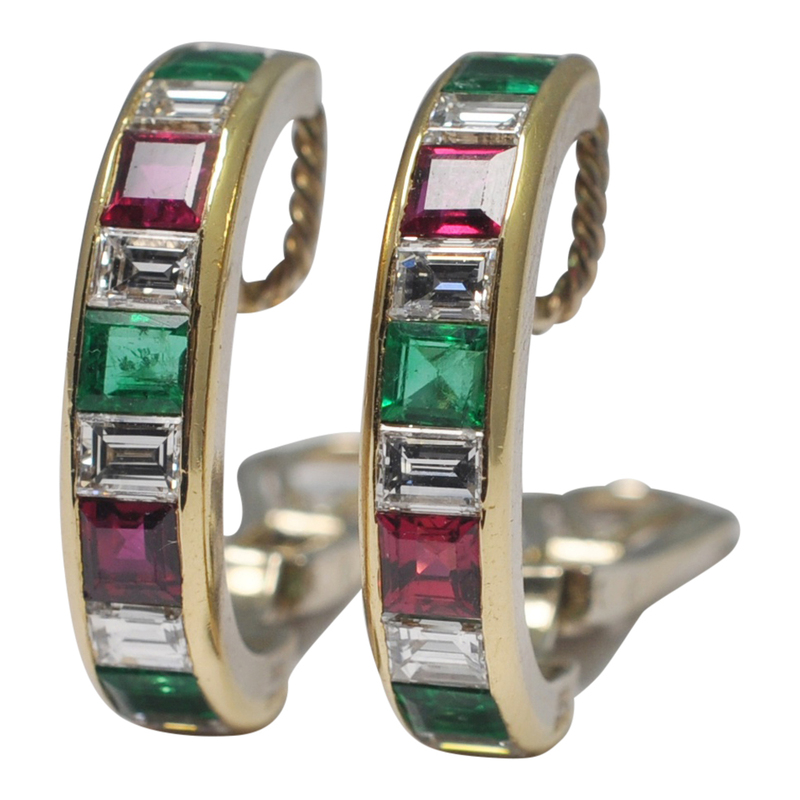 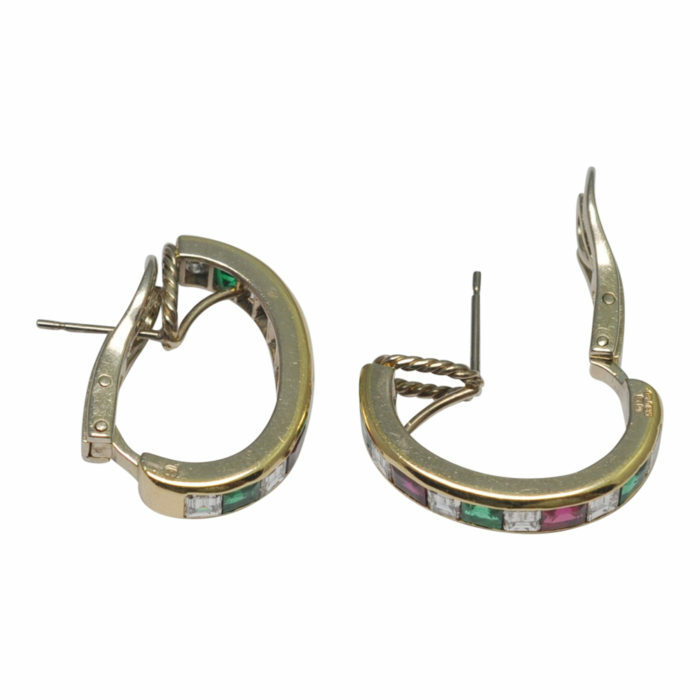 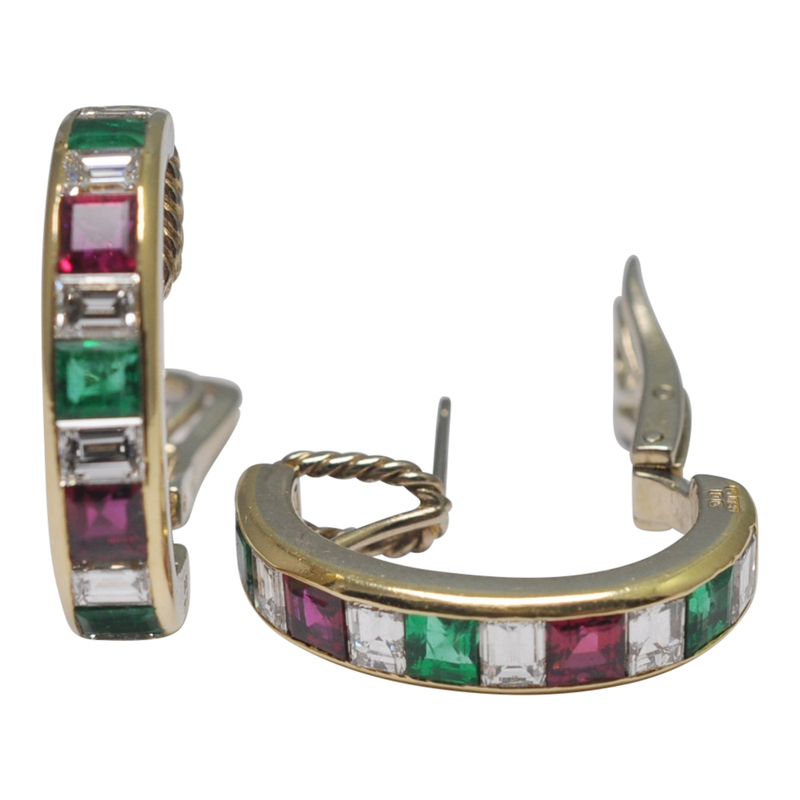 Bold and dramatic, emerald, ruby and diamond hooped earrings set in 18ct gold; the half hoops are set with alternating emerald cut diamonds, rubies and emeralds with a total weight of diamonds 1.68ct, rubies 1.12ct and emeralds 1.08ct. 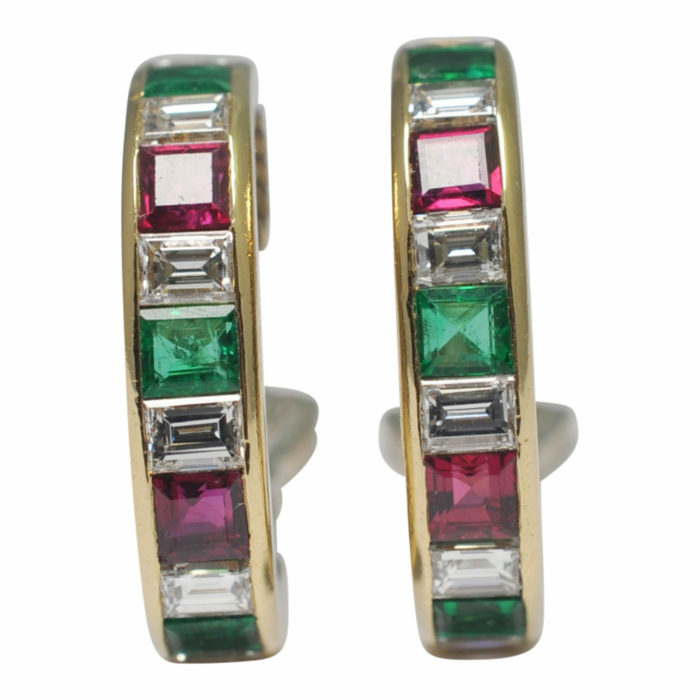 All the stones are of high quality and brilliance with the rubies showing a rich bright red colour and the emeralds are a good clear bright green. 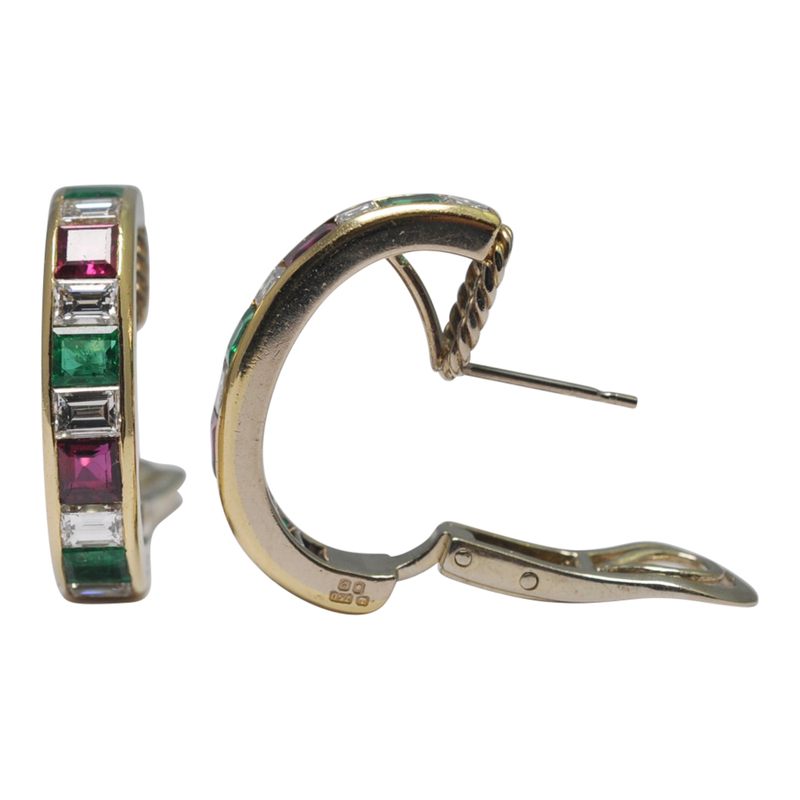 The earrings are fitted with a post and a strong clip for security. 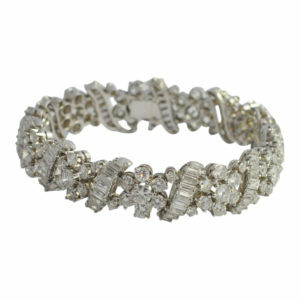 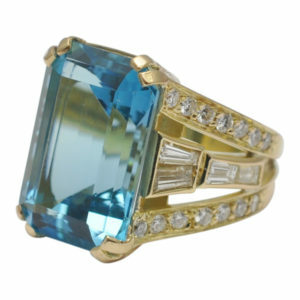 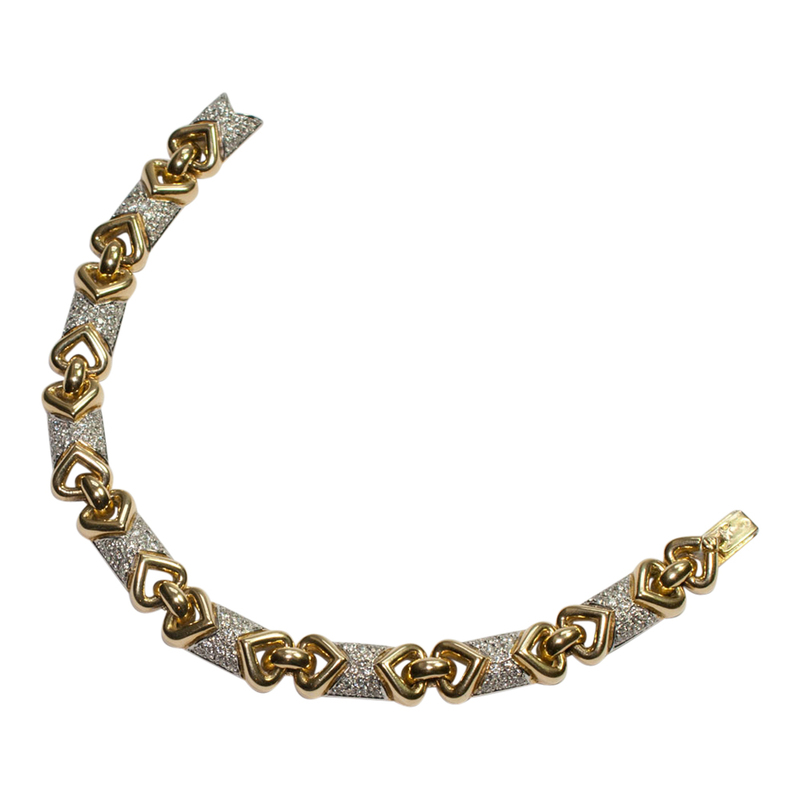 Weight 11.9gms; measurements 2.3cm long x 0.50cm wide. 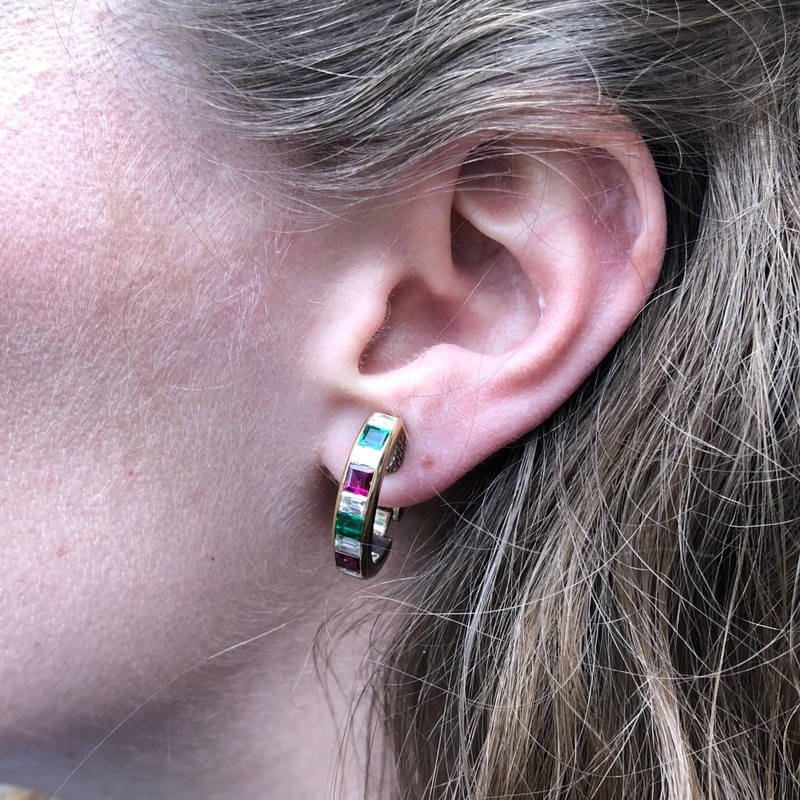 Hallmarked 18ct gold London 1988. 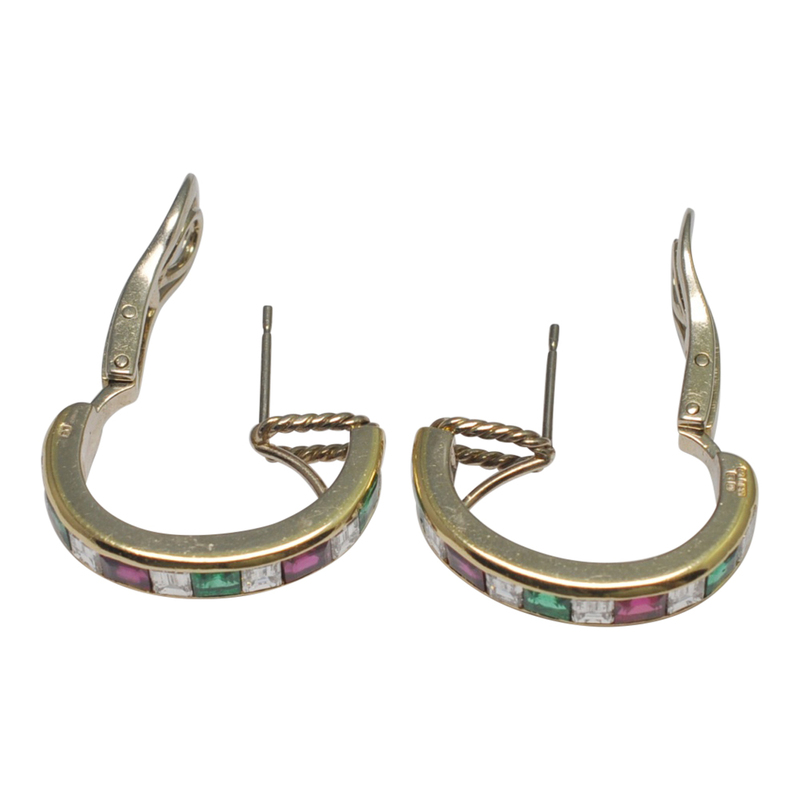 These earrings are of superb quality and in excellent condition.